The cyber spying targeted data about Boeing's C-17 military transport plane and other aircraft, authorities said. The U.S. has scored a small victory in its long-running feud with China over cyber espionage. A Chinese businessman pleaded guilty on Wednesday to conspiring to hack into the computer networks of top U.S. military contractors in order to pilfer sensitive information to send to China, the U.S. Department of Justice said in a statement. 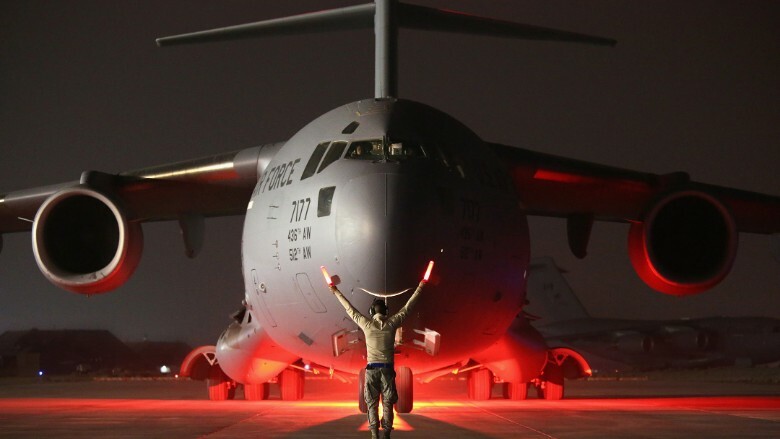 The 50-year-old Chinese citizen, named Su Bin, worked with two other unidentified people for more than five years to target military data, including information about Boeing (BA)'s C-17 transport plane and certain fighter jets, the department said. "This plea sends a strong message that stealing from the United States and our companies has a significant cost," said Assistant Attorney General for National Security John Carlin. The Department of Justice didn't, however, identify the ultimate recipients of the stolen information inside China. Beijing has repeatedly denied U.S. claims that it steals secrets from American companies -- including in Su's case -- saying the allegations are "purely ungrounded and serve an ulterior purpose." Meanwhile, it has accused the U.S. government of its own hacking campaign against China. In September, the two governments agreed not to conduct cybertheft of trade secrets and intellectual property against one another for commercial gain. Since then, private security experts have spotted some cyber activity from China but haven't confirmed if any of it was state-sponsored or involved the theft of data for commercial gain, a top U.S. intelligence official said last month. Prior to the deal, however, some U.S. cybersecurity firms had traced hacking to Chinese military units. Experts say espionage has played a role in China's economic strategy to modernize the country in recent decades. The illicit acquisition of technology has helped China accelerate the process, bypassing problems that would otherwise require years of research and development to resolve, according to analysts. Previous indictments in the U.S. have swept across numerous industries from agriculture to aviation. Alleged targets have included a solar panel manufacturer, aluminum and steel producers, and a company that designs nuclear power plants. In Su's case, he now faces a maximum sentence of five years in prison and is expected to be sentenced in July. He was originally arrested in Canada in 2014 and agreed to be transferred to the United States last month, authorities said.